We are proud of taking part in the Barcelona Trading Point, a trade fair which is currently being held in the Catalan city. Our expert, Gonçalo Moreira, has participated in a round table related to the use of indicators in trading. Alex On, co-founder of TradersCorner-Online, and Rob Hoffman, CEO in Become A Better Trader, have been the other panellists. They’ve also debated about stop loss in intraday. We are sponsors of this event which will last until September, 27th. If you are around, don’t miss it out! Gonçalo is a member of the Market Technicians Association (USA) and holds the Chartered Market Technician designation (CMT). He is an experienced currency trader spot with expertise in money management and position sizing techniques. Specializing in technical indicators have worked on the development of tools for quantitative analysis. 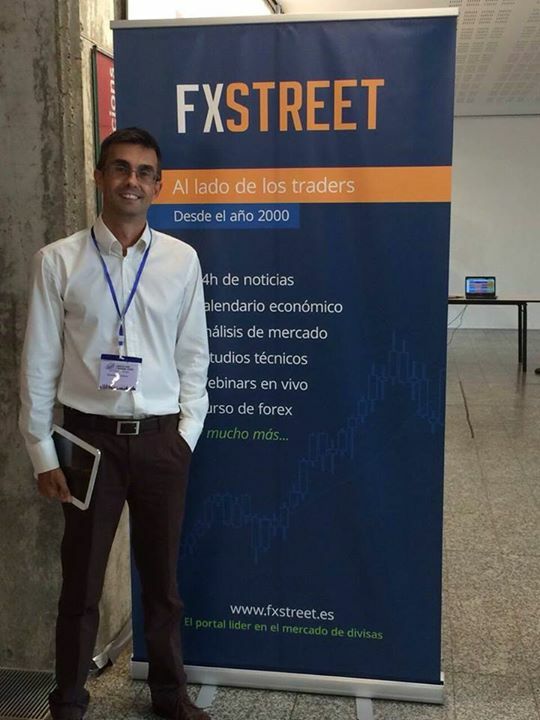 Speaks several languages ​​and has been a speaker and participant in several conferences related to trading. Next Next post: Be the Trader of the Year 2014!